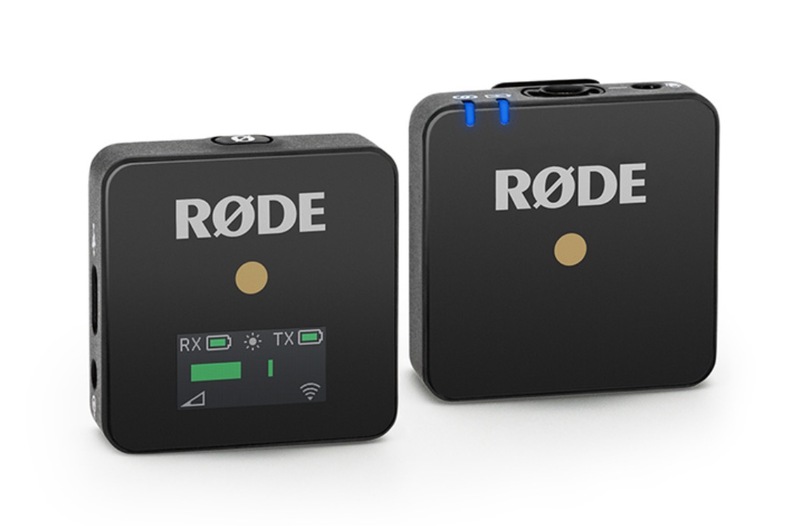 Rode has introduced the Wireless GO, a wireless microphone system that being deemed as ‘the world’s smallest, most versatile’ system of its kind. 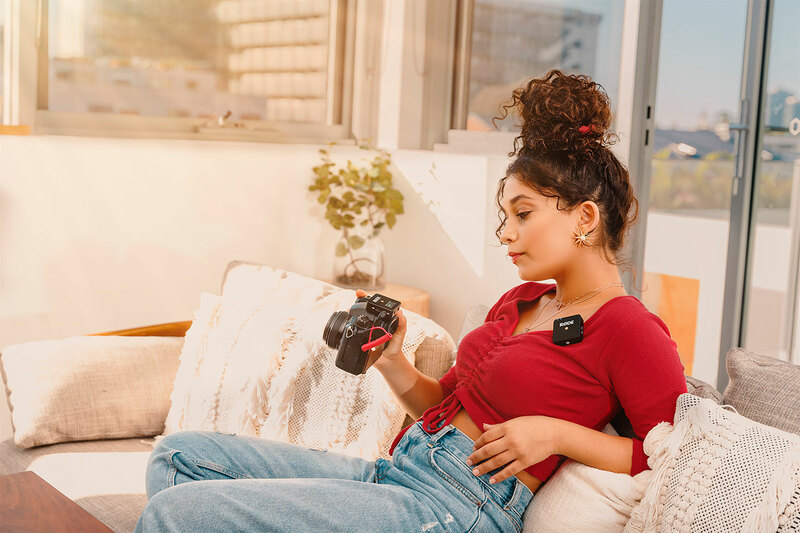 Similar to its Wireless Filmmaking Kit, the Wireless GO is a kit that consists of a transmitter (TX) and receiver (RX). 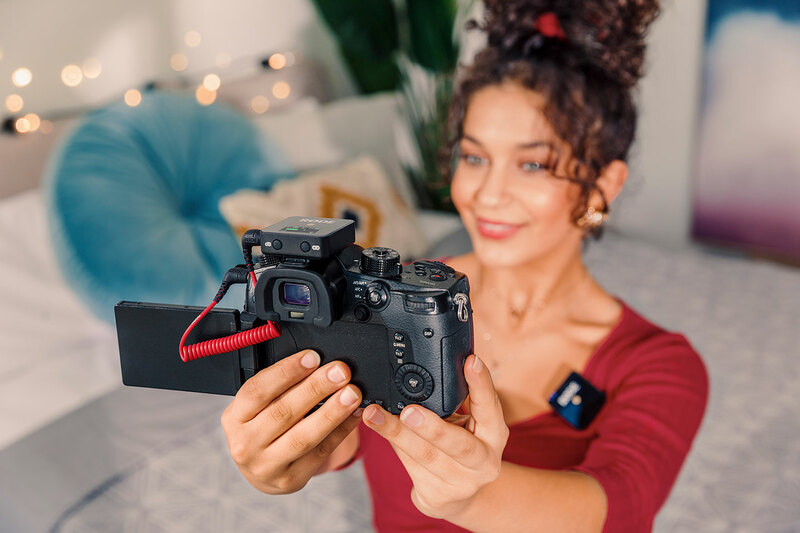 The difference is, the Wireless GO TX module works as a standalone microphone thanks to its internal omnidirectional condenser microphone and integrated clip or as a transmission unit for Rode’s lavalier microphone via the onboard 3.5mm TRS input. The two modules measure in at approximately 44mm x 45mm x 18.5mm and weigh just 31g / 1oz. Wireless connectivity is powered by Rode’s new Series III Digital 2.4GHz transmission technology that’s rated for a maximum distance of 70m / 230ft in clear line-of-sight situations. The modules include built-in Li-po batteries that are rated for seven hours of use and can be recharged via USB. Speaking of USB, the units can be updated with firmware using the same USB-C port that’s used to charge them.